Thank you very much. Good morning everyone. Thank you General Cucolo for the kind introduction, as you continue to make this institution a premier center of education during this pivotal time in our history. What a beautiful day. As I was standing in Washington yesterday, six inches of rain was falling. I said there was no way we could do this outside today. Here, it is a gorgeous day with great temperature, which makes it perfect for all the families and friends who are able to attend today. I am very pleased it could happen today outside. Lieutenant General (Retired) Timmons, President Emeritus of the Army Foundation, my former Division Commander in the 7th Infantry Division, welcome. Sir, it's great to see you again. Thank you so much for being here. It is always great to see so many civilian and military leaders joining us here today from the Army, Navy, Air Force, National Guard, U.S. Army Reserves, and Marines. It is great to see everyone here today to celebrate this great day for our graduates. I want to thank the battery for the great job. I want to thank the 78th Army Band. Being here from New Jersey, it is always good to see you here. It is always great being a boy from New Jersey -- I know they have my back. I want to thank a few other people here. 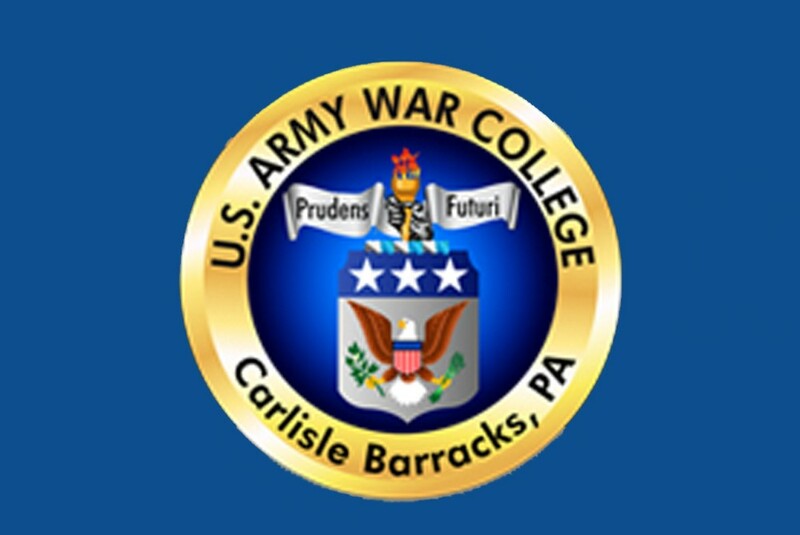 I want to thank the city of Carlisle and the broader Cumberland County communities for continuing to be such extraordinary partners with our Army and the garrison here at Carlisle barracks. Most importantly I want to thank the family members of the graduates, many of whom have traveled incredible distances to be here to mark this important milestone in a career of all of our graduates, a career of service to our Nation. This is now another step as they move forward to take on more and more responsibility in this great Army of ours, especially during this time of great uncertainty. I have heard that the class of 2013's academic year has been a momentous one for many reasons. I understand that you all thoroughly welcome and embrace the introduction of comprehensive oral exams to the curriculum (Laughter). I also head there was a momentous soccer game in which the U.S. students defeated our international students for only the 7th time in 35 years. What I also realized is I have another statistic that says 47 of our international students got masters degrees. So they were busy doing what they were supposed to do while they were here, studying. I am questioning what the rest of you were doing while you were here. As I think back, I got a note the other day. It has been 18 years since I graduated -- that makes me feel really old. Someone sent out a note to save a date for our anniversary that we will have for 20 years after graduating the War College. I thought back to my time here and what a great year it was for me personally and the people I had a chance to meet and the people I have continued to work with throughout my career. I also remember my family and the time that they had here. Although they demolished my old house in Smurf Village and we have increased the size of the quarters -- it was always tougher back in the old days. (Laughter) What a great place to be. What a great place to come to. I think that is part of this experience. It is just not learning with your partners and your peers and your partners and peers from other nations. It is also about spending a little time with your family. I think that is incredibly important. The Class of 2013's choice of print, "The Turning Point" I think is a remarkable one. This print depicts President Abraham Lincoln' s preparation for the Gettysburg Address, 150 years ago. In my mind it is a fitting tribute to one of our nations' greatest strategic leaders. Lincoln gave the Gettysburg Address at a time of despair and war weariness for our Nation. He knew that the Nation faced more sacrifices and that the end was not clearly in sight. The burdens of taxation and conscription were bearing down hard on every citizen. Yet he understood his role as a strategic leader. Lincoln went beyond simply mourning the Union dead to remind the American people of the great task that lay ahead so that "a government of the people, by the people, for the people shall not perish from the earth." A biography written by Lincoln's two personal secretaries, John G. Nicholay and John Hay summed up Lincoln's view rejecting a disconnect between strategic aims and military means, "Without a Nation, without a government without money or credit, without popular enthusiasm which furnishes the volunteers, or public support which endures conscription, there could be no Army and no war. War and politics, campaign and statecraft are like Siamese twins." Through his actions and powerful oratory on that day and throughout the Civil War, Lincoln inspired action. He led the American people to preserve the republic and bought our democracy back from the edge of ruin. Despite being embroiled in war, Lincoln had the incredible foresight to invest in the future. He understood that the post-war society would need educated leaders to rebuild our fractured society and move the Nation forward. In July of 1862 he signed the Morrill Land Grant Act into law, which allocated over 17 million acres of federal lands with an endowment of $7.55 million dollars that he used to fund a system of state colleges. The Act mandated the curriculum at these most public institutions focused on the liberal arts, agriculture, engineering, and military science. Great institutions such as Texas A&M, North Carolina State University, Virginia Tech, and Penn State, just to name a few, grew out of this legislation. It also established the precursor to today's Reserve Officer Training Corp programs in colleges and universities across the country. These are the lessons -- the inseparability of political aims from military and economic means, mobilizing the will of the populace, investing and educating our next generation that serve as a corner stone of the Army War College experience. Your graduation today marks a critical juncture in your career -- the transition from tactical leader to operational and strategic leaders. Strategic leadership requires an understanding of the intricacies of the environment. It requires the ability to craft and communicate a vision. It requires selfless commitment to your mission and the people you lead. It requires that you demonstrate both competence and character in every action you take. Most importantly, it requires that you take on the development and mentorship of the next generation of young leaders. There is no better time for you to join the ranks of this nation's and indeed our world's strategic leaders. We are at a strategic inflection point in the history of U.S. military and the U.S. Army. As experienced as our Army and our military are after the past twelve years of war, we must ensure that our Nation, our allies, and partners worldwide are prepared for future security challenges. Throughout the course of history, world events have always presented states and their militaries with complexity and unpredictability. Today the world is changing faster than ever, and information moves around the globe at the "speed of Twitter." The sheer number of connections between people and societies has increased exponentially, leading to sudden, unpredictable and fluid social, political, and security changes in the environment. Technology and weapons once reserved to states can now find their way into the hands of disaffected individuals and disruptive groups. International tolerance for civilian casualties and collateral damage from military operations has decreased while the capabilities to inflict such damage have spread to a growing number of illicit actors. As history has shown, we have a poor track record in predicting the future, but history also teaches us we will be called upon again, and strategic uncertainty is no excuse for inaction. As we begin our transition following this time of twelve years of war, we must rededicate ourselves to the development of our leaders as our best hedge against complexity and uncertainty. The U.S. Army has historically been in the business of building leaders. Developing leaders is a competitive advantage the Army possesses that cannot be replaced by technology or substituted for with weaponry and platforms. This is why today, we are releasing the 2013 Army Leader Development Strategy across the Army, through TRADOC and the Combined Arms Center at Fort Leavenworth, social media platforms, publications and numerous media outlets. The Army Leader Development Strategy provides a comprehensive roadmap to prepare Army leaders for the challenges our Nation will face. In this strategy, leader development is defined as the deliberate, continuous, and progressive process that grows Soldiers and Army Civilians into competent, committed professional leaders of character. Leader development is achieved through the career-long synthesis of the training, education, and experience acquired through opportunities in the institutional, operational, and self-development domains, supported by peer and developmental relationships. Our strategy will be all encompassing. It begins with pre-commissioning at the United States Military Academy, ROTC, and Officer Candidate School for officers and continues all the way through the general officer ranks. A similar process will be reinforced on the enlisted side, from initial entry training through the Sergeants Major Academy. Likewise, leader development features prominently in our programs for Department of the Army Civilians. In the institutional domain, we are expanding access and opportunities for advanced civil schooling, training with industry, fellowships with universities and think tanks, and interagency assignments. This year, we tripled the number of post-War College fellowships for Colonels. We have launched the Advanced Strategic Planning and Policy Program, which will allow hand selected officers to pursue a Ph.D. at our country's best universities. Here at the Army War College we are revamping the entire curriculum, such as adding economics classes, electives, and the infamous comprehensive exams to make our professional education system more rigorous. We are developing new standards for faculty selection and promotion based upon their teaching, scholarship, and service. We are reaching farther into the careers to select and train strategically-minded leaders. We've just begun a captain's broadening program at University of North Carolina that will bring 25 select Captains into a six-week inaugural course later this summer. At every one of our TRADOC Centers of Excellence we are updating the programs of instruction for our tactical level leaders and will select the very best junior and field grade officers to be instructors. For example, we have re-instituted the Project Warrior track to bring our best tactical leaders into the schoolhouse and the Combat Training Centers. The institutional domain is the foundation of our leader development programs, and we will continue to invest in these despite budgetary challenges. In the operational domain, we are updating our live, virtual, and constructive training to enable our junior leaders to achieve tactical and technical competence, mid-grade leaders to hone their skills at commanding units and organization, and senior leaders to develop and implement strategic plans and policy. We are not walking away from our experience of the past twelve years; we are building on it. We believe the future will be even more complex. We have developed a new series of scenarios -- the Decisive Action Training Environment--that confront leaders with the need to do Combined Arms Maneuver, Wide Area Security, Counterinsurgency, and Stability Operations near-simultaneously. This new complexity will require adaptive, agile reactions and will stretch our units and leaders in new ways. We have developed a new style of after action reports for the Combat Training Centers - the Mission Command AAR - that will allow our Combat Training Centers to drive leader development as never before. The Operating Force is also seeing the implementation of Regionally Aligned Forces, which will give our leaders the opportunity to remain intellectually and internationally engaged with allies and partners across the globe as we come out of these twelve years of war. In the domain of self-development, we are expanding leaders' access to broadening assignments earlier and more frequently throughout their career. We have, in fact, defined "broadening" formally for the first time, and we are moving promotion timelines closer to their historic norms so that field grade officers will be able to pursue an interagency assignment, military schooling, or a civilian degree. We are going to limit Majors' key and developmental time to two years so that the very best will be available for broadening assignments. We will work with the general officer corps to stress the importance of broadening assignments as they counsel and mentor younger Officers and NCOs. I will be giving instructions to key boards to select soldiers with a diversity of experiences because that is what today's strategic environment demands. We will incorporate 360 assessments into our mentorship and counseling process. We are also launching several initiatives aimed at managing talent across the force and improving our assignment process. One example is Green Pages, a new way to match personal skills with job requirements so that we can get the most out of our people's talents. Investing in our civilian, officer, and NCO talent management is essential to indentifying the unique skills, education, and broadening experiences necessary to match the right people, with the right assignments. We are implementing this new program with the advantage of having the most combat-seasoned force the Army has ever had. Virtually every leader at every echelon has led in combat. We must harness our experience in conducting complex operations with joint, interagency, intergovernmental, and multinational partners to achieve tactical, operational and strategic objectives on the ground. I am relying on each one of you here today, particularly our U.S. Army Officers, not only to be guided by the Army Leader Development Strategy but to implement it. At its core, this strategy is about investing in our single most precious resource, our people. Our Soldiers, Sailors, Airmen, Marines, our dedicated civilian workforce, our allies and multinational partners have sacrificed much, especially during this last twelve years. The courage and commitment of our service members, civilians, and partners is a source of inspiration to me every day. We owe it to them to ensure they are well led and prepared for the future. Your leadership in critical positions across the joint force, within our government agencies, and between governments is essential to shaping a positive future. I commend you all for your longstanding service to country and your willingness to take on higher levels of responsibility. I commend each of the graduates today for your hard work and dedication to education and self-development. I thank the incredible staff and faculty at the Army War College for your commitment to rigorous learning. Most importantly, I thank each of the family members who stand alongside their graduate today. Thank you for your moral support that enabled our graduates to complete this tremendous milestone in their career and continue their service to the Nation. We do not take your sacrifices for granted, and we could not have succeeded without you. As we look to the future, I know there will be many challenges, but we start from a position of strength -- the strength of our soldiers and the leaders sitting in front of me today. Although there will be uncertainty, I know one thing for sure: in two years we will be the best Army in the world; in five years, we will be the best Army in the world; and in ten years, we will be the best Army in the world. That's because of you. Thank you all for your service to this noble endeavor and for allowing me to share this celebration today with you. I wish you all great success in all of your future pursuits. The strength of our Nation is our Army. The strength of our Army is our Soldiers. The strength of our Soldiers is our Families. This is what makes us Army Strong! May God Bless all of you. Thank you. Thank you very much.